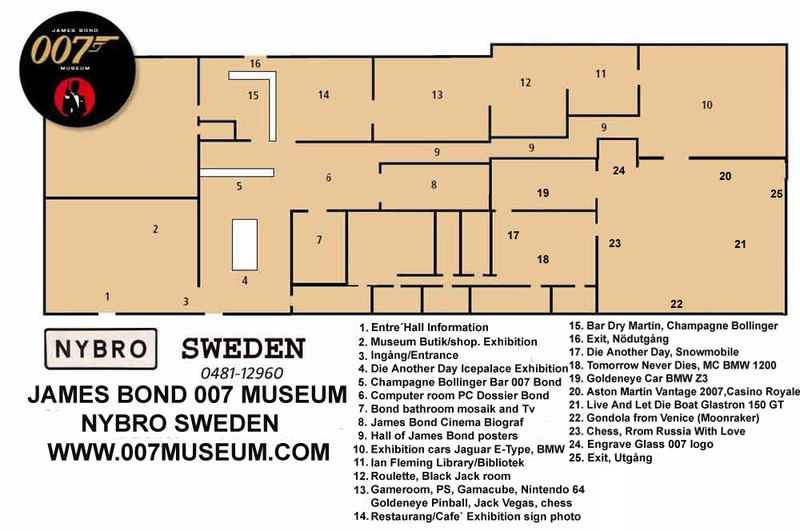 The James Bond 007 Museum Sweden, Nybro. is over 1000 square meter..
To see in James Bond 007 James Bond Museum! 1. Glastron GT 150 boat in "Live and Let Die" 1973 (Roger Moore as Bond). 2. BMW Z3 "Goldeneye 1995" (Pierce Brosnan as Bond). 3. BMW 1200 C motorcykel from "Tomorrow Never Dies" 1997 (Pierce Brosnan as Bond). 4. Air plane Cessna 172 Skyhawk from "Goldeneye 1995" (Pierce Brosnan as Bond) and "Licence to Kill 1989" (Timothy Dalton as Bond). 5. 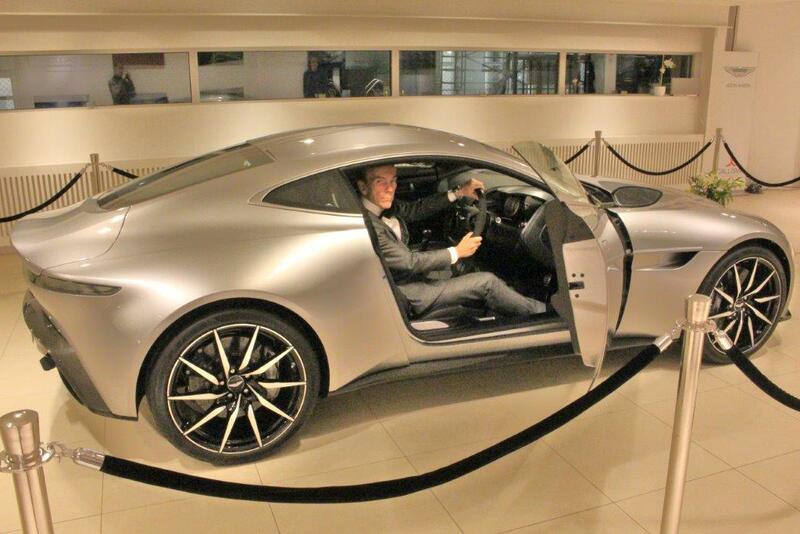 Aston Martin "Casino Royale" 2006, "Quantum of Solace" 2008 driving license plate "007 JB" (Daniel Craig as Bond). 6. Gondol from Venice "Moonraker 1979" (Roger Moore as Bond). 7. Jaguar E-Type FHC from "Casino Royale 1967" (David Niven as Bond). 8. Snowmobile "Die Another Day 2002" (Pierce Brosnan as Bond). 9. Izabella Scorupcos bikini from "Goldeneye" 1995. (Pierce Brosnan as Bond). 10. All Ian Flemings 14 books in first edition, first impression in a library. 11. Bond Cinema. Movie theater where visitors can watch movie . 12. Bond bathroom with 007 mosaik in floor. We have 40 000- 50 000 James Bond related things to show up. We also serve a Dry Martini (Vespers), or why not a glass Champagne Bollinger / Dom Perignon and Heineken beer. All to be like in a real James Bond, Ian Fleming film with the right feeling, visitors can take part in.